Karl Lagerfeld has thought about New York, Paris, Rome, Los Angeles, Shanghai, Dubai and Edinburgh to name but a few. Over the years, the Metiers d’Art show has seen press whisked away on romantic vacations to write nice reviews about Chanel shows in far-flung destinations. 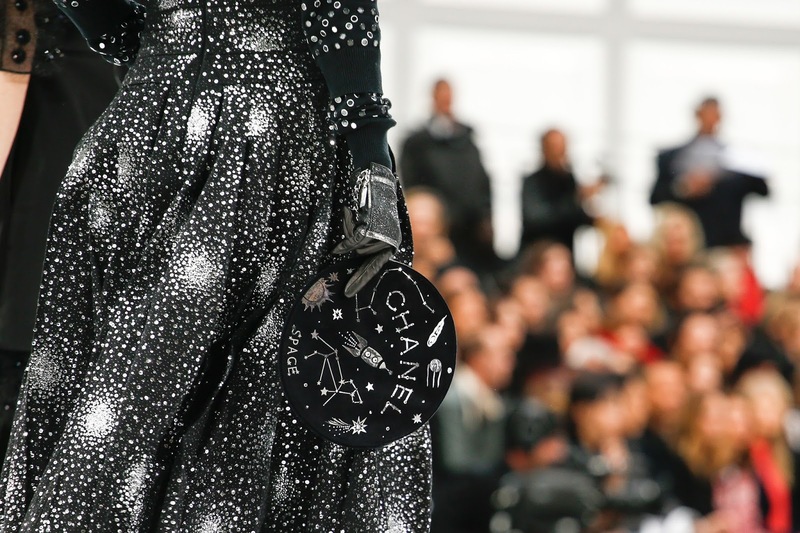 (The extravagance displays Chanel’s capabilities as a juggernaut fashion house and also points to problems in the fashion industry—paying for positive reviews, the futility of over saturating pre-collections with press attention, the questions around the necessity of pre-collections.) The destinations are always a topic of interest: where will he go next? 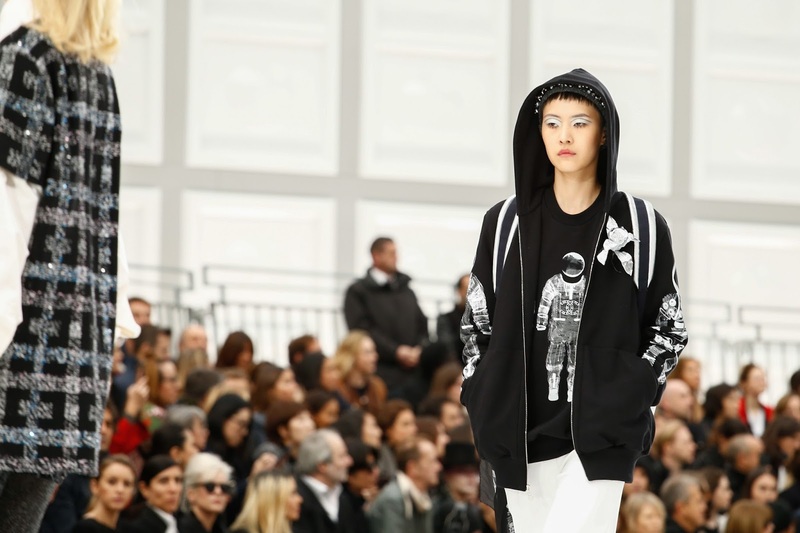 The answer presented itself at the fall 2017 presentation on Tuesday morning—space, of course, the final frontier. 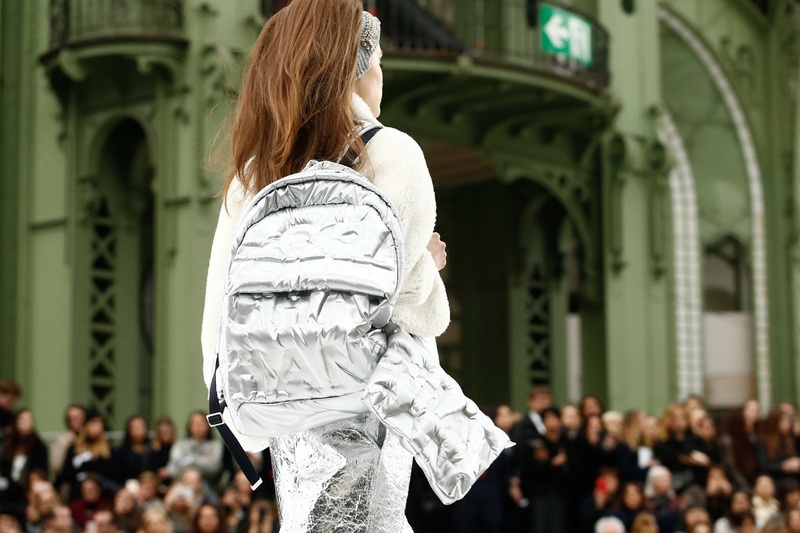 A Chanel-branded spaceship filled the Grand Palais. 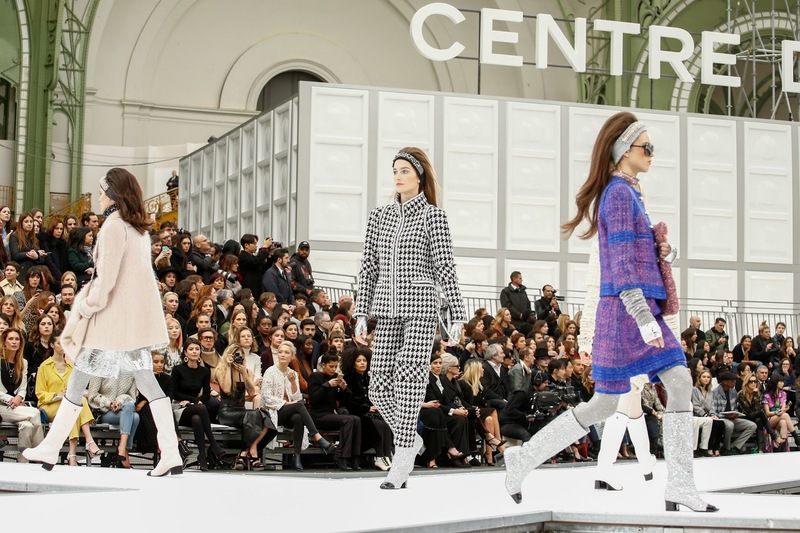 The models circled the ship before it eventually blasted off—the set piece rose into the air, as if to shoot for the stars, to the tune of Elton John singing ‘Rocket Man’—it truly wouldn’t be a Chanel show without comically literal referencing. Perhaps Lagerfeld has had enough with planet Earth given the current tumultuous political climate. Maybe he’s tired of hearing about Trump, Brexit and every other example of political turmoil the world is experiencing. Many people are of the same opinion—avoiding front page news, practicing ‘self-care’. The Chanel customer—a monied woman with many a luncheon and gala dinner to attend—strikes one as someone who is likely to disconnect from the tumult. Maybe she too wants to go to space? 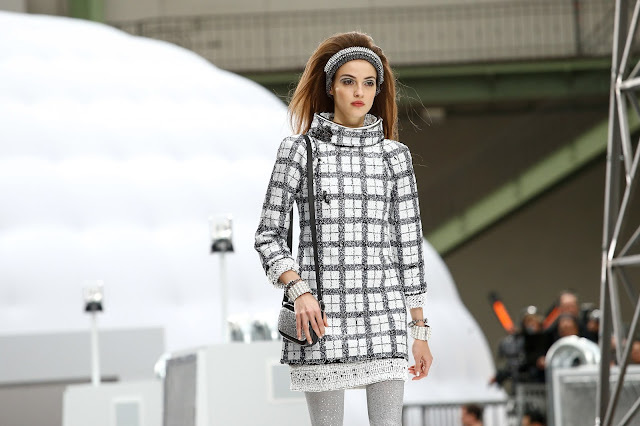 What does the Chanel woman wear to space? 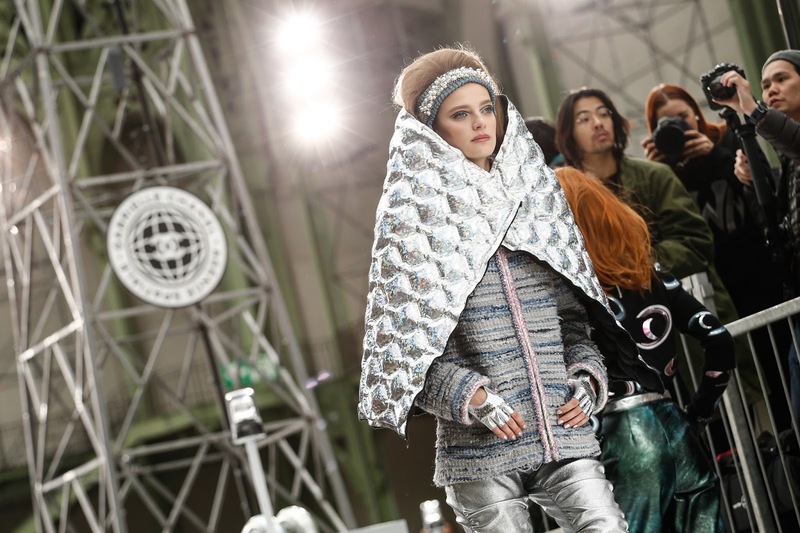 Gimmicky quilted space blankets, rocket ship embroidered accessories… Lagerfeld convincingly puts the focus on the clothes in collections whereas in others he misses the mark completely and you can clearly see that the customer is being baited beautiful accessories and the clothes are just filler. The clothes here glistened with metallic embellishment. There was a hoodie and t-shirt with a hologram of an astronaut. A wool sweater was printed with imagery of planets and their moons—one was reminiscent of Saturn. An emerald suit reminded one of the Aurora Borealis. The final looks were a pretty constellation of stars. 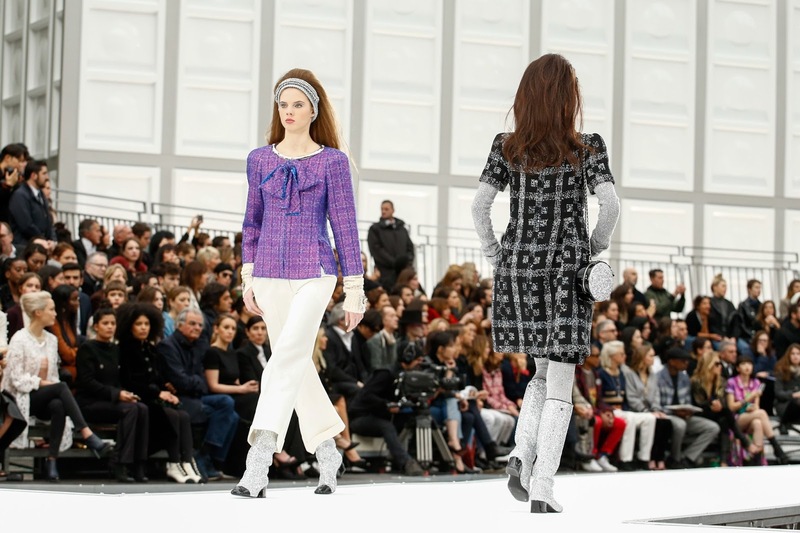 Spectacle has forever been the instrument of a Chanel show’s downfall. Whether it’s a massive lion inspired by an object found in Coco Chanel’s apartment, a barnyard, a glacier, the set piece can often overshadow the collection. 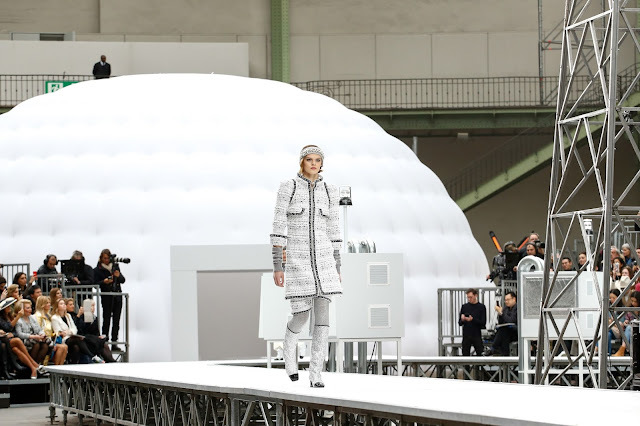 The set piece can be thought-provoking as it was at this show—encouraging one to think about the space exploration—and the clothes can coexist with it and the set contributes to the clothes. With the rocket ship blasting off at the end of the show, the audience with their phones at the ready seemed to take more interest in that than the spangly clothes which lacked the charisma and joie de vivre Chanel usually has. It’s the cartoonish interpretation of the source material also that minimises the show’s effect. 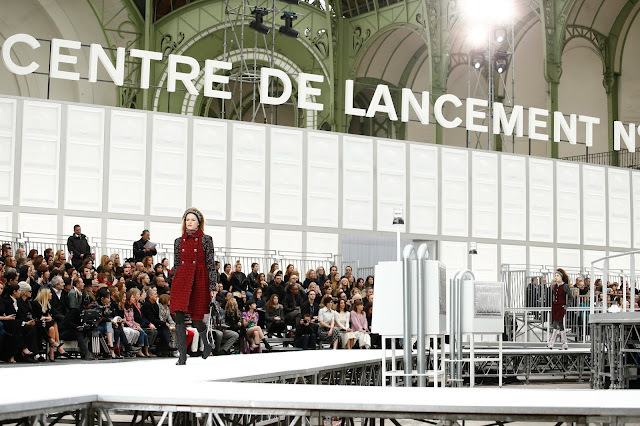 In the past, Lagerfeld has found the perfect balance between literality and allusion. 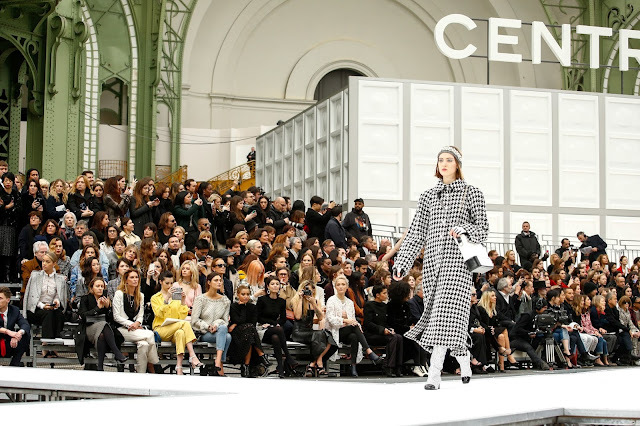 Yes, one could say that caricature fashion and literalism is the Chanel way but clothes—and the customer—deserve more than that.